Virgin Atlantic is a world renowned brand, delivering a brand experience that is second to none. In 2012 the business recognised that their brand identity and communications were feeling dated and falling behind the actual brand experience. Lead by Head of Design Joe Ferry, they set out to create a new brand strategy and refresh the brand identity. Collaboration is fundamental to effective brand building. Client and agency teams working as one; partner agencies playing to strengths, co-creating and building the brand together. Management consultants Circus and design consultancy Johnson Banks created a new strategic platform for the brand, centred around an inspiring core thought: “Everyday Pioneers”. Johnson Banks created a family of distinctive brand marques and badging strategy for use across the estate, a bespoke typeface and – working with the Virgin Atlantic design team – created a strikingly confident approach to livery design. Extend and define the full brand identity toolkit. 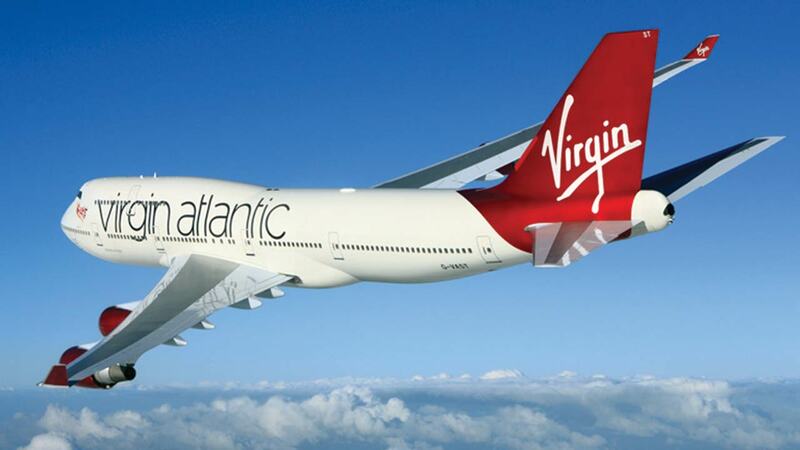 Establish how the distinct Virgin Atlantic brand spirit could be baked into brand communications. 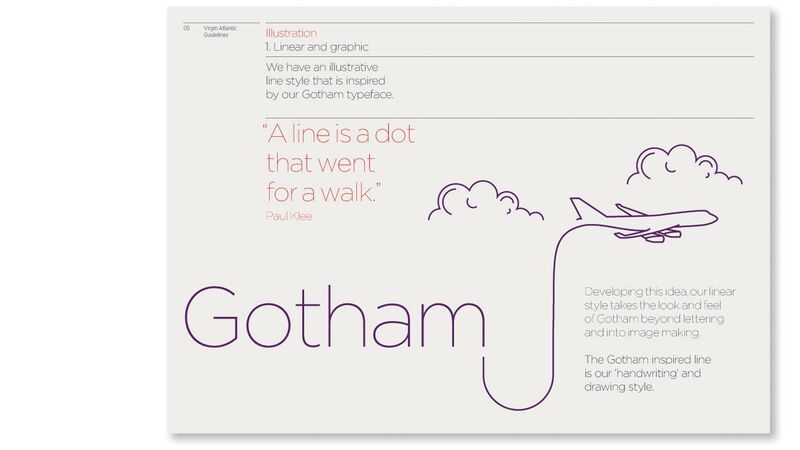 Articulate the key design principles and create brand guidelines. Benchmark best practice across key internal and external comms. Develop a bespoke framework and design principles for use by Virgin Atlantic Cargo. Help to consolidate the new brand strategy and reflect the distinct brand personality. Better reflect the quality of service. Enable flex to connect effectively with a range of different audiences, in a range of different contexts: from internal to external communications: from economy to upperclass, from marketing promotions to flight safety communications. Help to capture the heart, as well as the eye. Inspired by views from 'above the clouds' a suite of abstract supergraphics were created. The supergraphics and associated colourways helped to mark out the distinct cabin classes. A distinct approach to illustration and iconography was established that aligned with the elegance of the bespoke typeface. Clear design principles were established for use of typography, colour, photography and illustration and a suite of benchmark visuals helped to stress test the framework and illustrate best practice. To support the roll-out of the new brand identity framework, we developed a set of core stationery and artwork templates globally, as well as full brand guidelines for both Virgin Atlantic and Virgin Atlantic Cargo. The refreshed brand identity framework enabled the airline to establish greater cohesion across the estate, whilst creating brand distinction at every touchpoint. It is essential that we set a firm, confident foundation for the future of the Virgin Atlantic brand, one which is relevant in the new commercial environment. It’s critical that we portray and live our differentiating brand values. 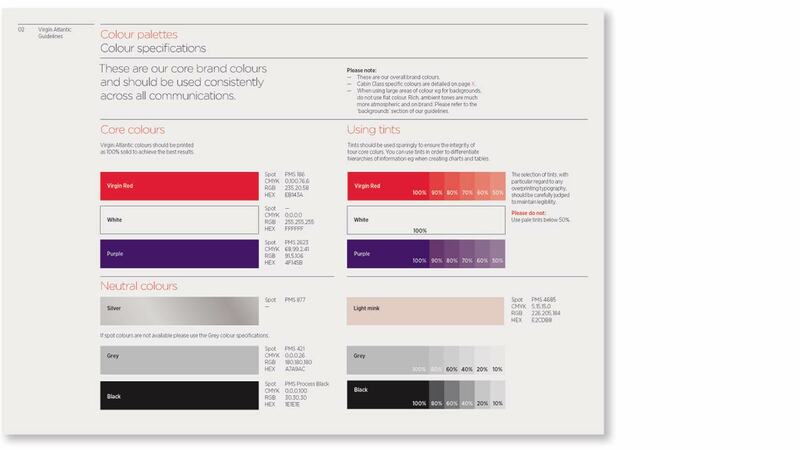 Purpose: Extended brand identity toolkit, best practice design principles and brand identity guidelines. Virgin Atlantic Design Team: Project coordination and roll-out. Development of full brand identity framework. 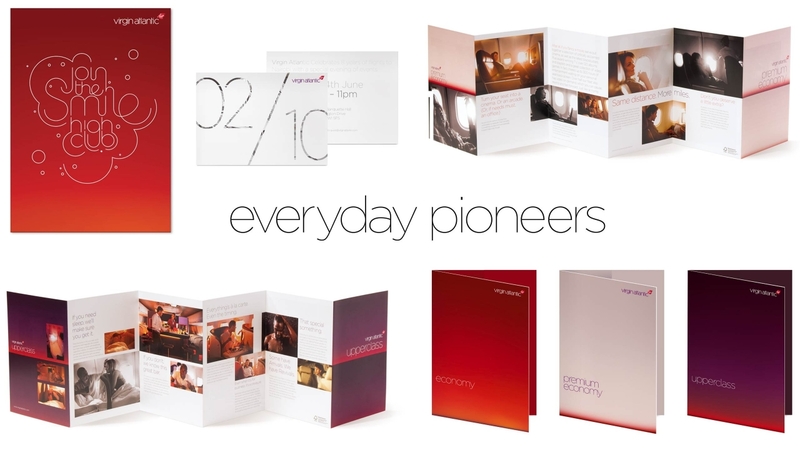 Brand identity guidelines for Virgin Atlantic. 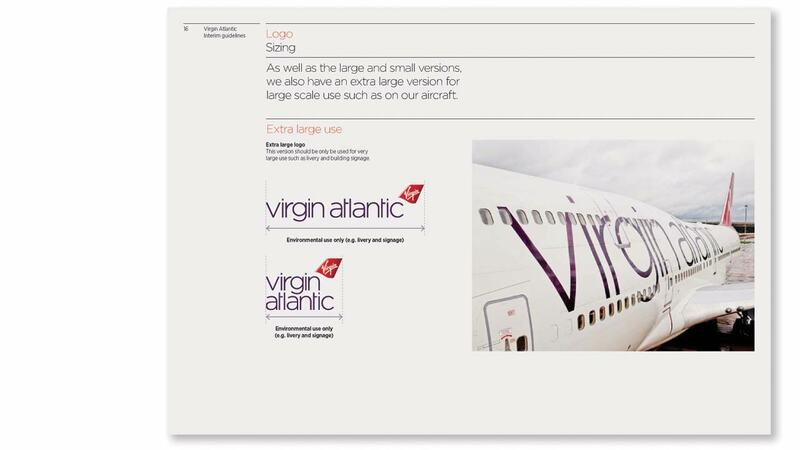 Brand identity guidelines for Virgin Atlantic Cargo. Design of a suite of benchmark communications. Global stationery design, guidelines and artwork templates.